A story worth listening to! 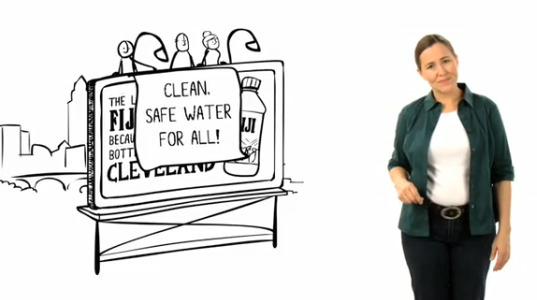 From Annie Leonard and the makers of a very noteworthy short film "The Story of Stuff" comes a new story - one that we all need to hear - "The Story of Bottled Water"
"We're trashing the planet, we're trashing each other, and we're not even having FUN!" This story is important and imperative that we not only listen to but repeat to our friends, neighbors, and all we come in contact with. Watch and learn the truth – where the water comes from, what it contains, and where the bottles go. Enjoy the story and then pass it on! 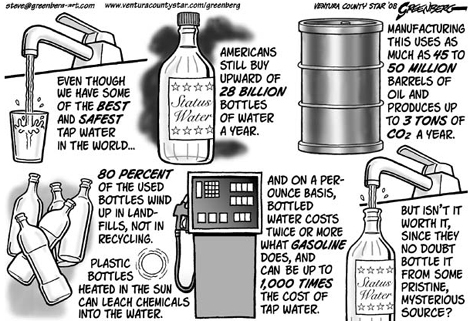 - In 2008, Americans consumed approximately 8.6 million gallons of bottled water. - Over 1.5 billion people do not have access to clean, safe water.